Application- where is the material going to be installed? Foot traffic and circulation in the space- observe carefully. 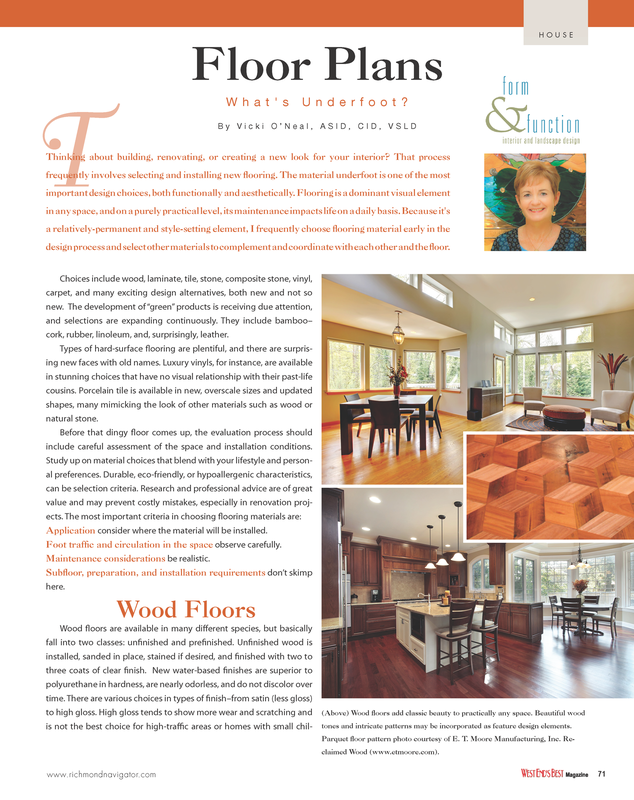 Subfloor, preparation, and installation requirements- don’t skimp here. 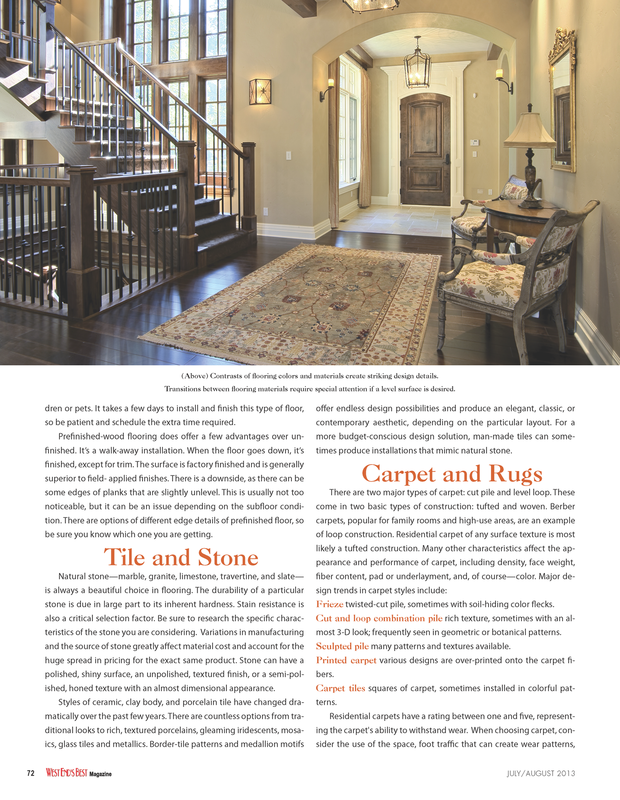 “Getting floored” part one and two will cover an overview of carpet, the myriad choices in hard surface flooring, emerging products, and green alternatives. Part two will highlight hard surface flooring and alternative materials. Frieze- twisted cut pile, sometimes with soil hiding color flecks in the pile. 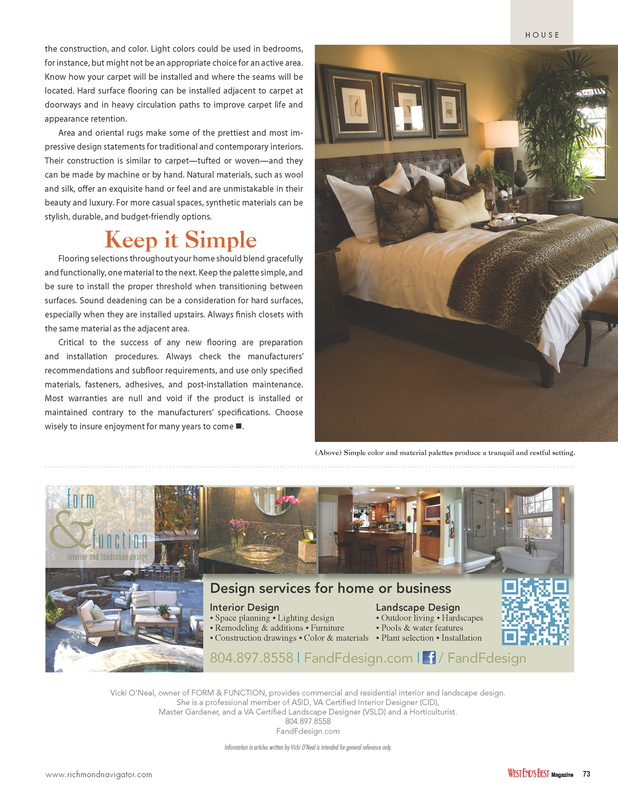 Cut and loop combination pile- offers a rich texture, sometimes with an almost 3-D look. This is frequently seen in geometric or botanical patterns. Sculpted piles- many patterns and textures available. Solid color cut piles and Saxony. 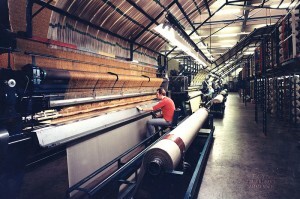 Printed carpet- various designs are printed onto the carpet fibers. 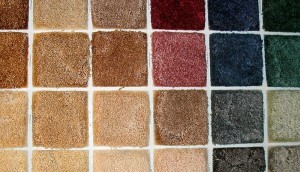 Carpet tiles- squares of carpet. In recent years, berbers have been quite popular as an alternate style and due to their durability. Did you know the origin of ‘Berber’ carpets dates back to the Paleolithic era and were made by the Berber tribal people of North Africa? The term originally referred to carpets made from natural animal fibers. The modern era descriptive term generally refers to carpets of neutral color with darker flecks with a textured high/ low level loop construction. They do have a similar appearance to its historical origin. Residential carpets have a rating between one and five which represents its ability to withstand wear. As previously described, this is only part of the picture of durability. When choosing carpet always think through the options and consider the use of the space, foot traffic that can create wear patterns, the construction, and the color. 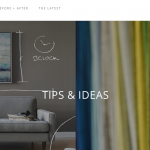 Light colors could be used in bedrooms for instance, but might not be an appropriate choice for an active area. Remember too, that carpet can be bound and used as an area rug rather than installed wall to wall. Ask questions before your carpet is installed such as where will the seams be located and what type of padding is best. Hard surface flooring can be installed adjacent to carpet at doorways and in heavy circulation paths to extend carpet life and appearance retention.